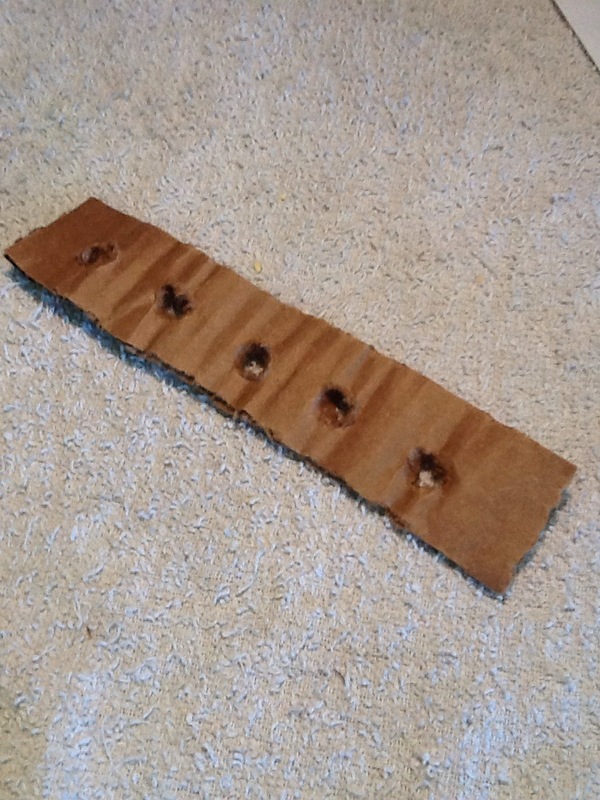 1.Cut a strip of cardboard about 1" wide by 8" long. You can change the length depending on the size of your bird. Put holes down the lenght of the cardboard about every inch. 2. 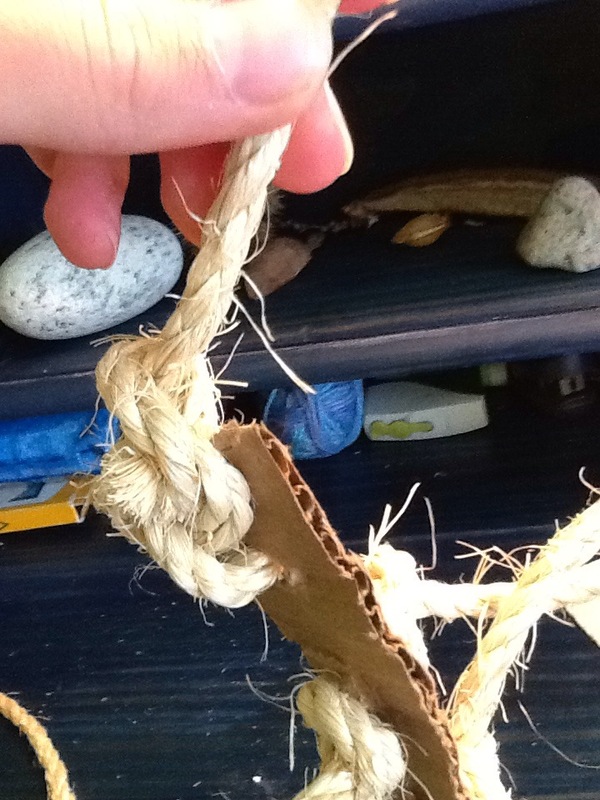 Count the number of holes you put in, and cut that many pieces of rope about 1 foot long. String them through all the holes except the hole at the very top. 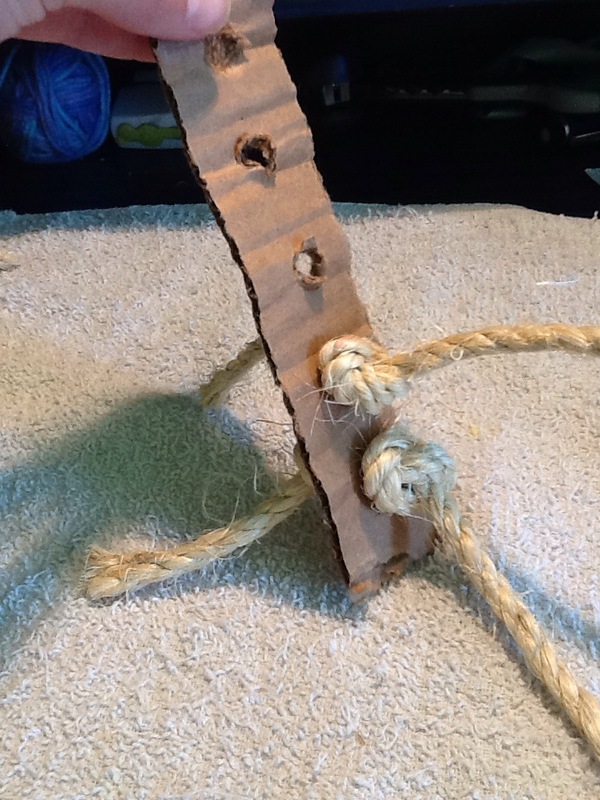 Tie hole on either side of each holes so the rope can't slip out. 3. 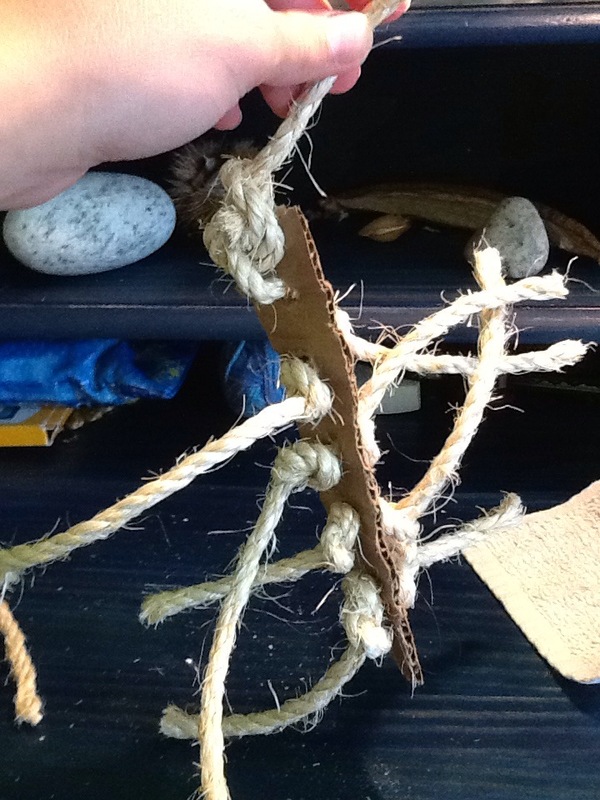 Thread the last piece of rope through the top hole and tie one end of it around the top of the strip of cardboard. Then tie the other end of the rope to the top of the cage.